Great offer on 10 bottles of pellets from draft club. 10 bottles at a great price for this great pellet. Superbly made and highly polished bbs. One of the most accurate and reliable pellets on the market to-day. Tried and tested to their limit by airsoft players all over the country. 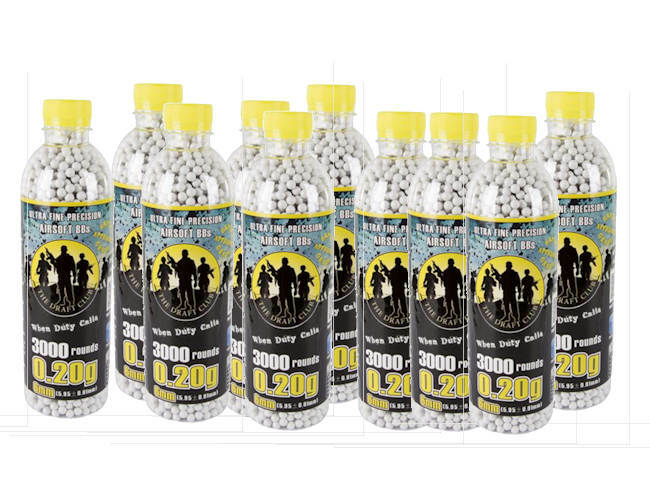 Tested by Adventure1 in our shooting range and found these to be a fantastic pellet in all of the range of weights. Very round and will not break apart. This pellet has now a good reputation amoung the Airsoft community.